Home > PhotoPearls Support > Questions and Answers > Q: Where do I find my Activation code? Q: Where do I find my Activation code? 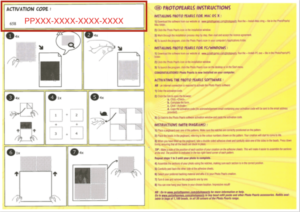 A: The activation code can be found on the Installation & Activation instructions paper that is included in the starter kit. 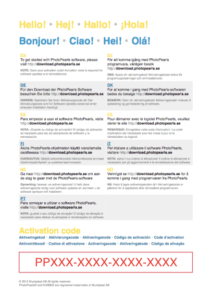 If you have an activation code beginning with PP01A you need to Create a new code to activate the software. © 2019 Munkplast AB All rights reserved.